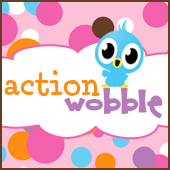 Action Wobbles: Happy Valentine's Day! 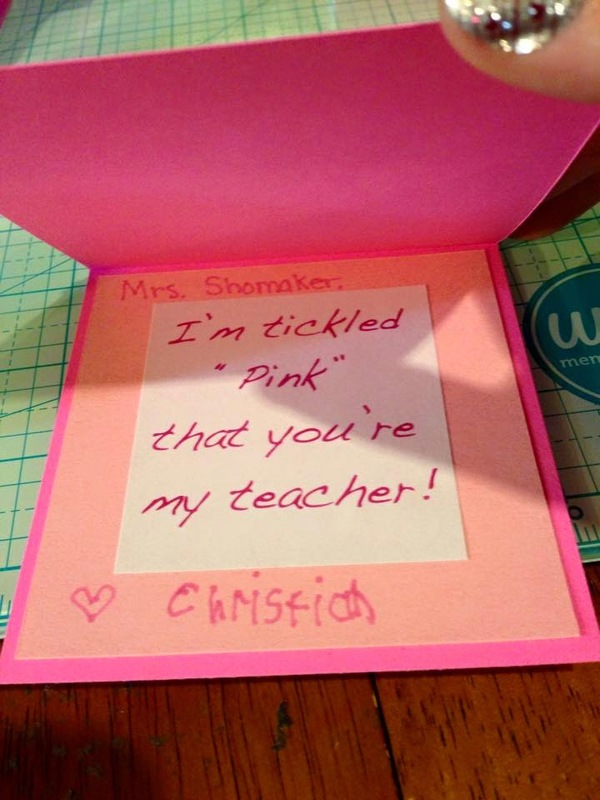 Today I am sharing a card I made for my son's teacher to attach to her gift. 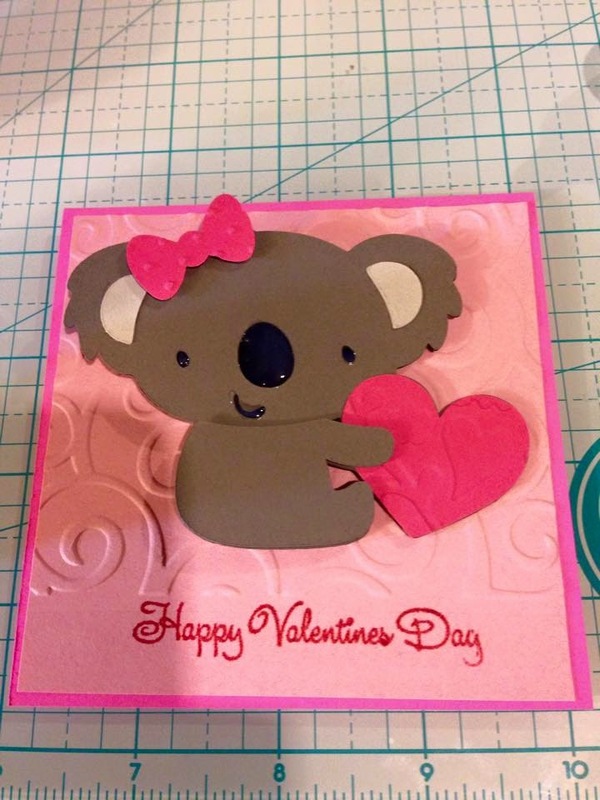 I used the Create a Critter 2 cartridge to cut this adorable koala bear. Then, of course, I added some more fun to the card by placing him on an Action Wobble. 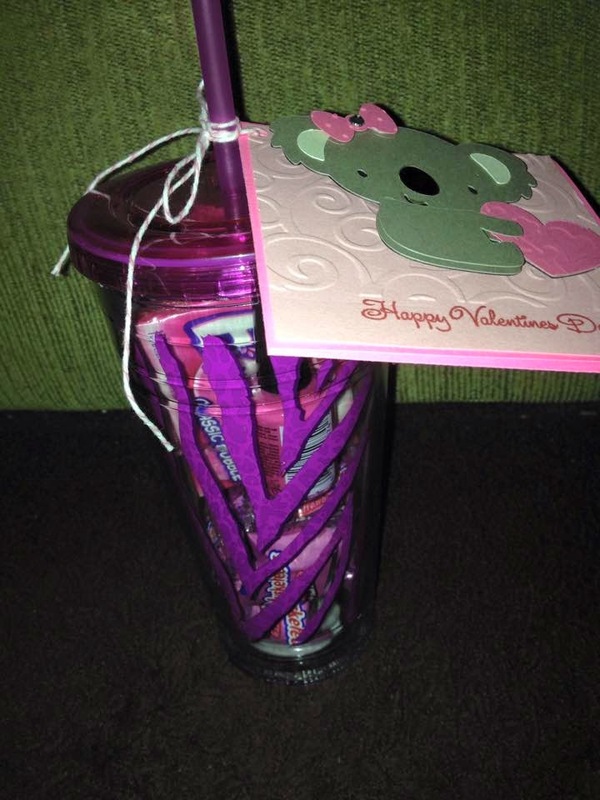 We filled a reusable cup with a variety of pink items to go along with the sentiment inside the card. 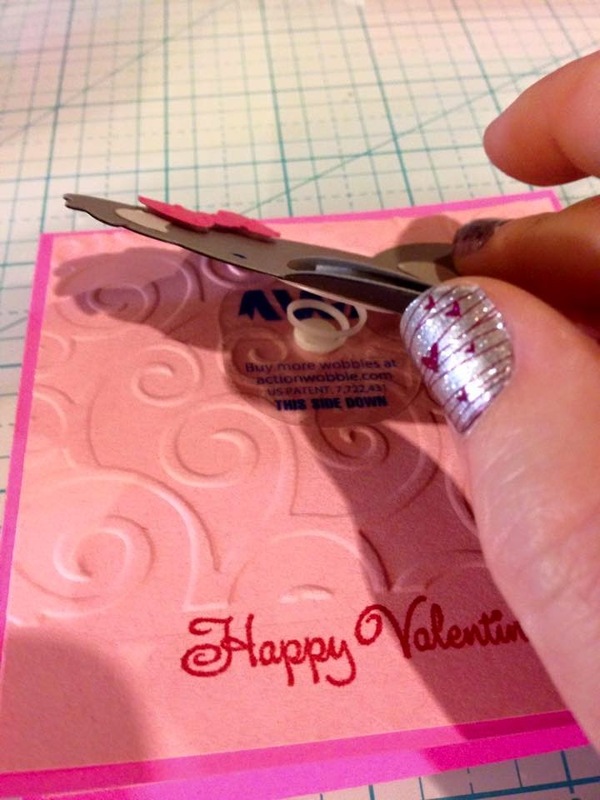 Thanks for stopping by today and I hope you all have a great Valentine's weekend! 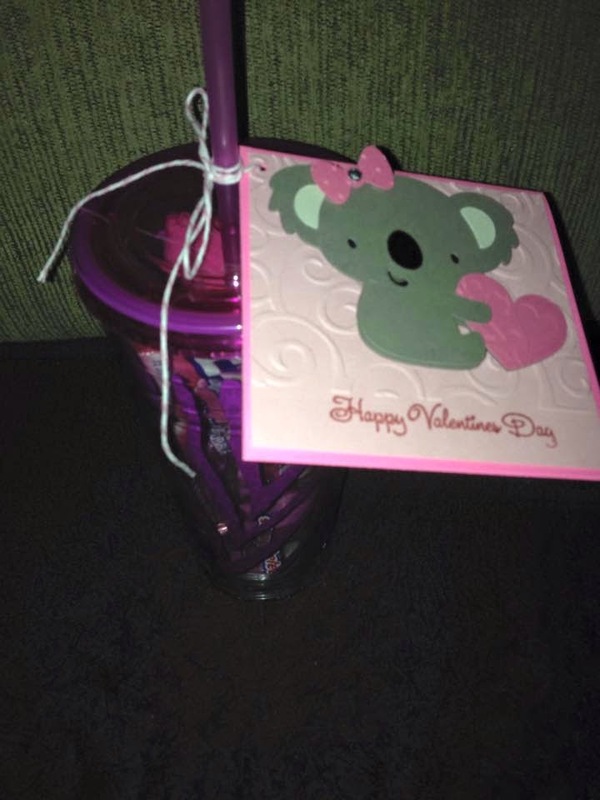 Cute Valentine. Rcvd the prize wobbles today. Figured they had been lost in the mail since it was in Jan I won. Thank you.